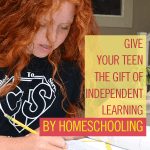 I read this article and wanted to share it with you: Give Your Teen the Gift of Independent Learning by Homeschooling https://blog.sonlight.com/independent-learning.html. Several years back, when one of my older daughters was wading into her first semester of college, she called and thanked me. Not for passing on great recipes, showing her how to wash her own clothes, or allowing her to dig into advanced biology well before most of her peers. No, she thanked me for giving her the gift of being an independent learner. Unlike many of her classmates, my daughter had been responsible for meeting deadlines, managing resources, and keeping her own schedule throughout much of her high school career. The program of study in which she and her new friends were engaged was rigorous and detail-oriented. My daughter was stretched, but, contrary to the experience of her fellow students, not overwhelmed. “The syllabus seems paralyzing to some of them,” she noted, before explaining how she had found a rhythm in studying and was even finding some time to watch Star Trek reruns in the evenings. 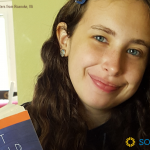 Homeschooling with Sonlight gave her this ability to learn independently! Why Teach Independence in Learning? Independent learning actually wasn’t one of our stated goals when we started homeschooling, but developing a love of learning alongside strong character was. Independence in homeschooling was an outgrowth of those desires in many ways. While we were never drawn to learning environments that relied on screens and eschewed parent/child interaction, or workbooks that could be completed then checked at a later date, we knew that eventually, it would be healthy and profitable to give our children the ability to work independently. 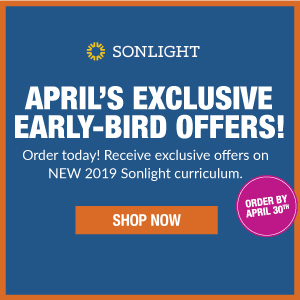 Sonlight provided many opportunities for independent learning over the early years. By simply copying down the suggested schedule for readers on a notecard the child could use as a bookmark, we were able to begin a gentle training in maintaining pace. 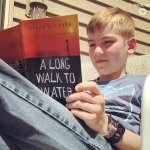 From the beginning, I allowed the children to choose when and where they did their reading—even allowing them to complete an entire book in a day, so long as the rest of the day’s schedule was able to be kept. Throughout the year, assigned projects and writing opportunities afforded more chances to hand over a small chunk of the learning and let my children own their learning experience. Just as I sensed that my children were ready for more responsibility, Sonlight’s Eastern Hemisphere -HBL F introduced the concept of researching facts, managing larger chunks of their time, and tackling deeper issues. This program served as the gateway year in many ways for us. By this point, I had an end goal of letting my high schoolers self-regulate the bulk of their days via the weekly Student Guide. I slowly began moving from being the primary educator to becoming a consultant. I was no longer in front of my kids for most of the day, presenting information, reading, and giving feedback. 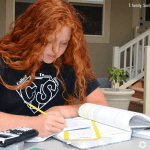 By the time my homeschoolers graduate from high school, they have been meeting with me daily to touch base, but spending their school hours checking off assignments at their pace, in the order they choose. 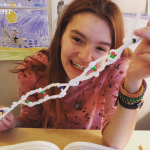 When Are Tweens and Teens Ready for Learning Independently? Knowing when to begin the shift is as easy as gauging the child’s success in handling smaller bits of responsibility. If you’ve assigned a book that never gets read, your child isn’t ready. Can’t trust him to do a math lesson without you looking over his shoulder? Not a good candidate. By the same coin, a child who is frustrated or overwhelmed by a solo task may be signaling that he or she isn’t ready to move forward without your assistance. Listen to your child and watch the signs! 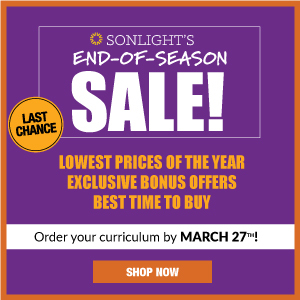 Realize that as you let go of minute-by-minute interaction in your homeschool, your ability to build relationship with your children over these shared moments necessarily declines. This fact is why I wasn't wooed by curriculum options that promised “hands-off homeschooling” or “minimal time commitment” for parents. That face-to-face interaction is one of our primary motivations for homeschooling! 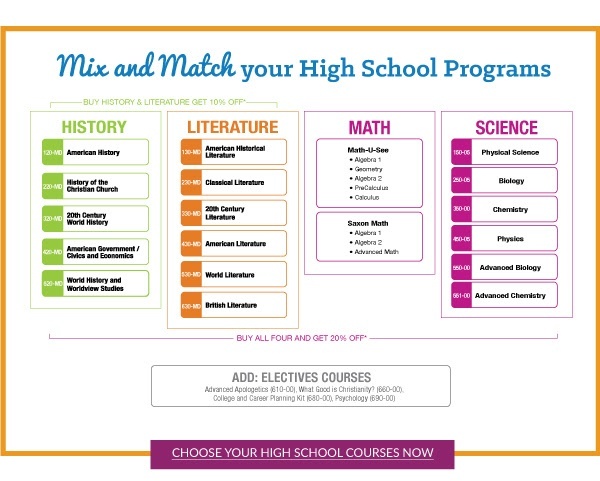 So there is a trade off here as you move your teens to greater independence in learning. 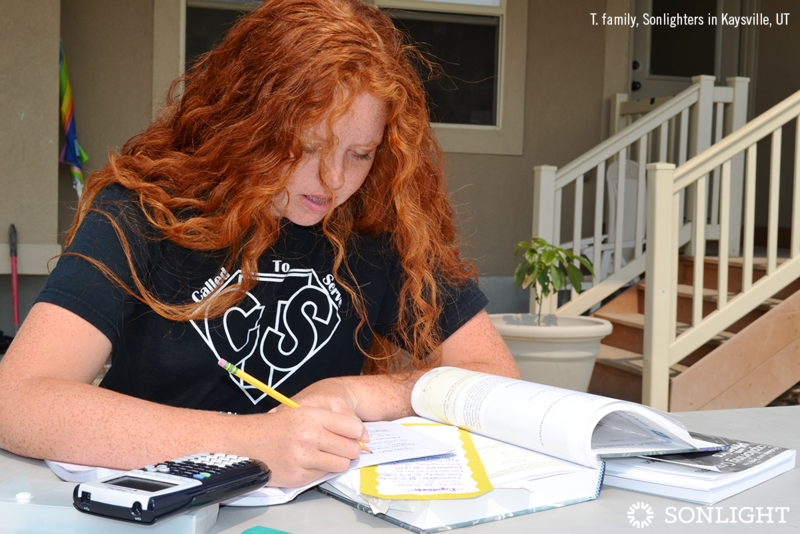 Age-appropriate homeschool independence is a huge gift to children. It pays dividends in college and beyond. Map out a vision for giving your children the ability to direct some of their own learning. And take the first steps in watching them fly! 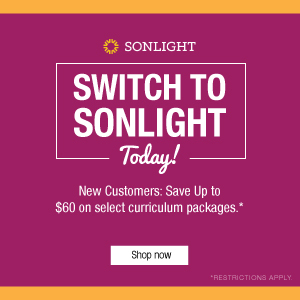 Sonlight has homeschool consultants available to talk to you about the next step on your journey. Click here to schedule an appointment. For sure! 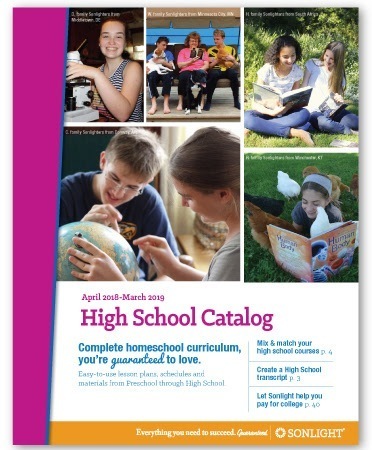 My daughter is in her senior year of high school and it's amazing watching her learn how to juggle school, work, life and her extra-curriculars. I can't help but watch her and think that she is going to be so prepared for college life! 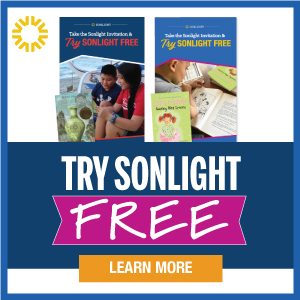 We couldn't have done it without Sonlight showing us the way.